We are always happy to assist wholesale establishments in stocking our products. Our products fit with many marketing styles and are a welcome product addition in many different venues. 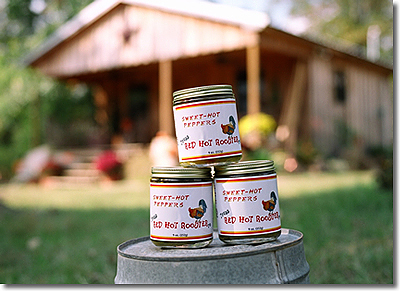 If you are interested in stocking Texas Red Hot Rooster Co. products in your store, we would love to speak with you. Wholesale pricing is also available for caterers and restaurants. We can supply quarts, half gallon, & gallon sizes. Please contact us for more information. Or give us a call at 936-853-2993, we're looking forward to speaking with you!